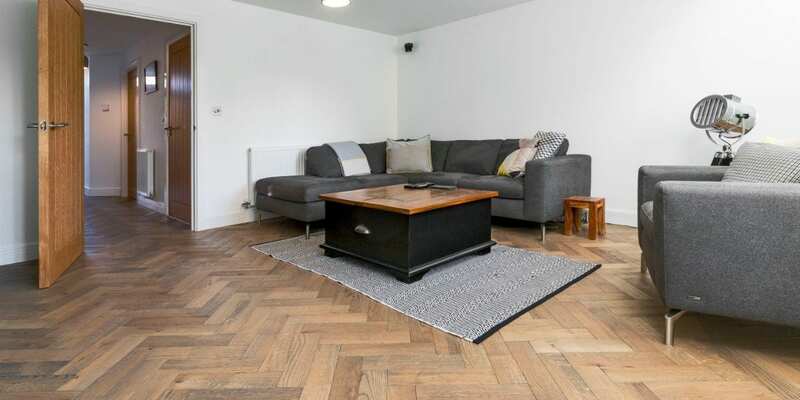 Craig and Libby moved into this new build home in Manchester in summer 2018. 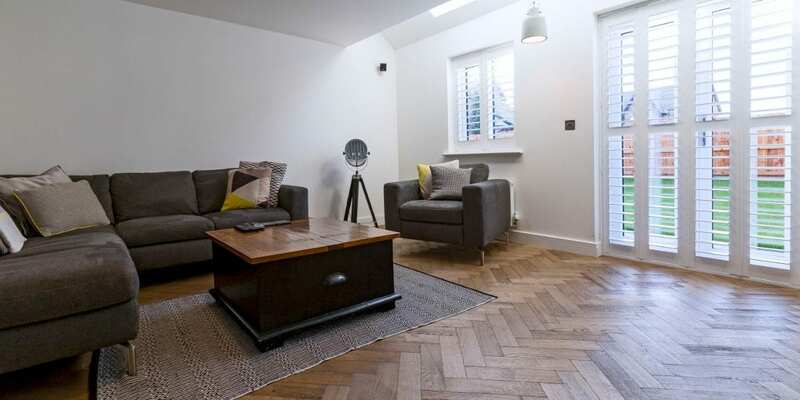 They loved the style of the new home as it was modern and gave them all the space they wanted. 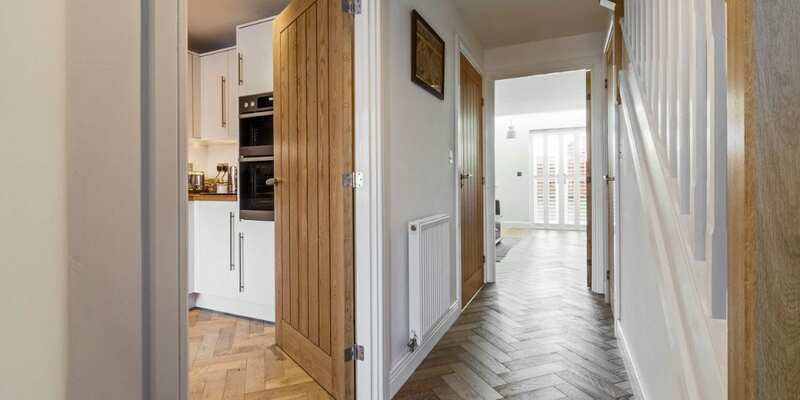 As a new build though, while it was coming with a new kitchen and bathroom in place, the floors were being left unfinished. 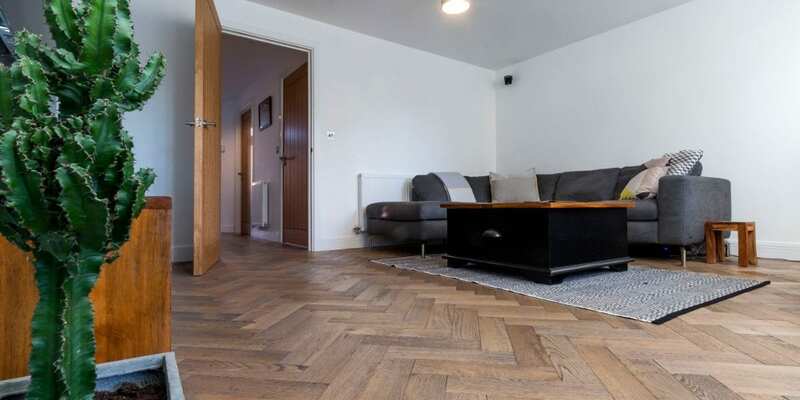 Craig explained, “The developer did offer us some standard flooring finishes to choose from as an extra, however we weren’t impressed with the choice or quality. 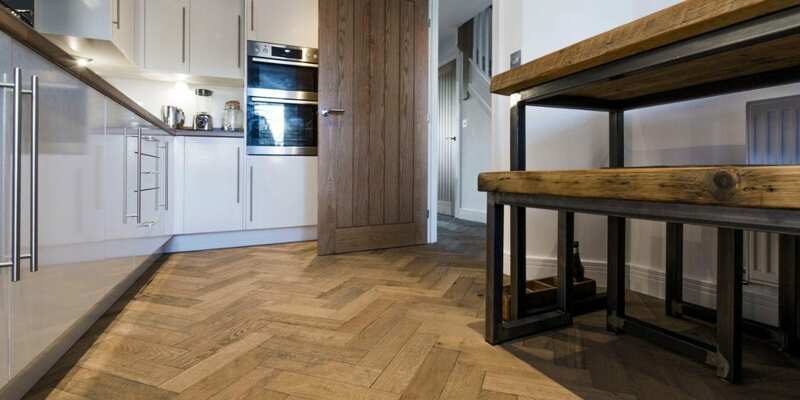 We felt that flooring was such an important element of our home’s interior design. 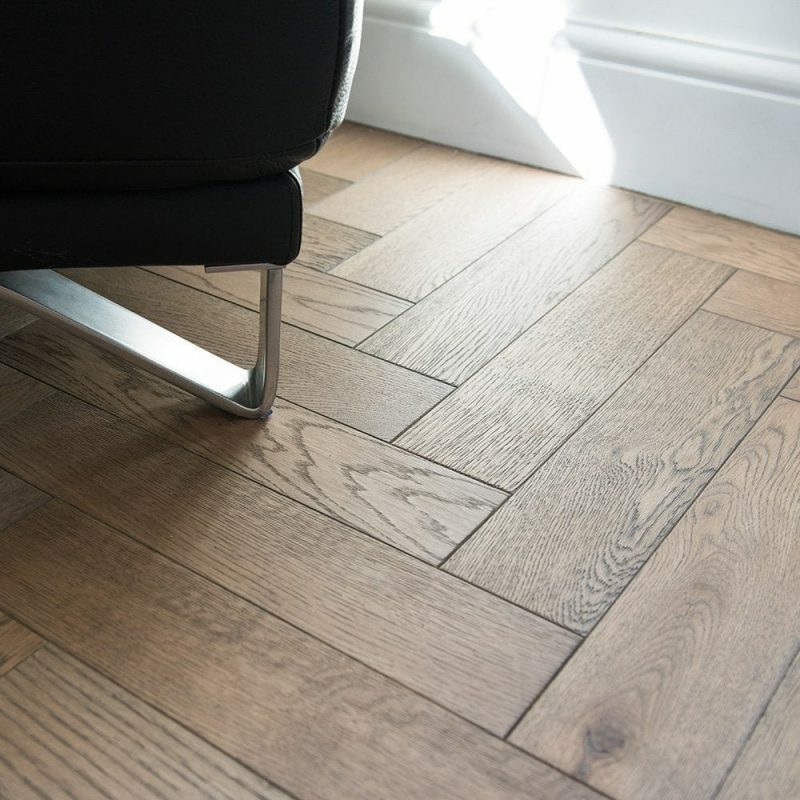 So passing on the developer’s options they started to research wood floor options. 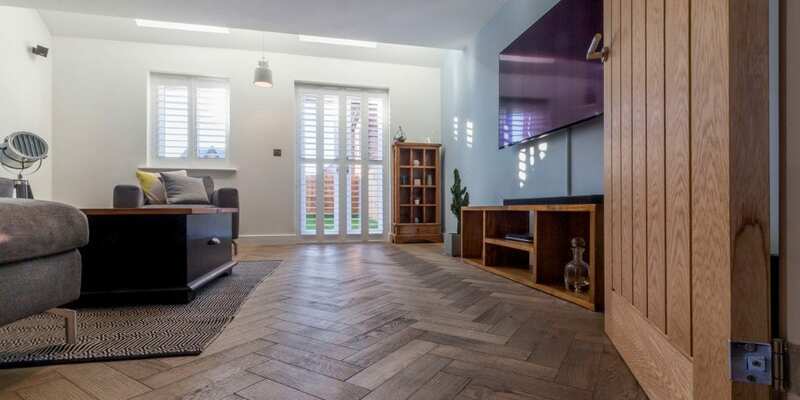 “We did look at plank styles but we felt that going with a herringbone style floor would really add some character to the home and create that natural flow – almost drawing you through to the living room and out to the garden. 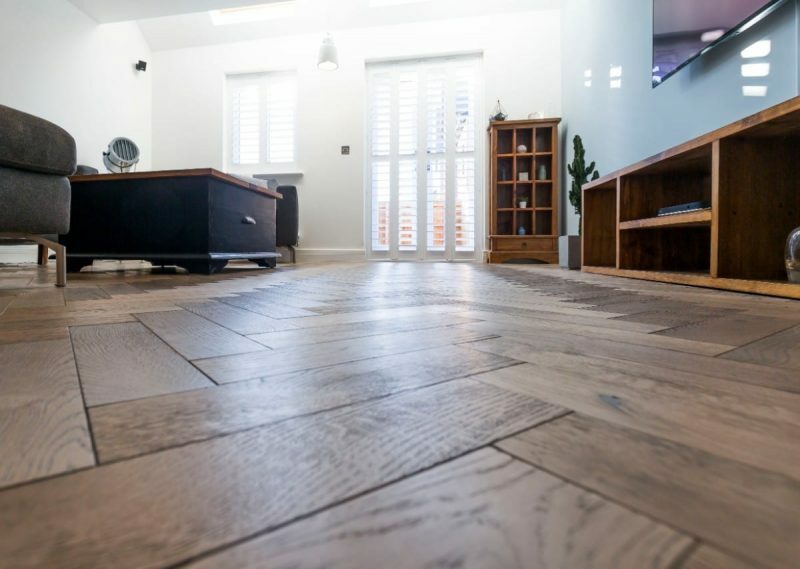 They visited local flooring retailer Diamond Millennium Carpets, an approved V4 retailer they located on V4’s website, where they were able to view larger sample boards in their showroom. 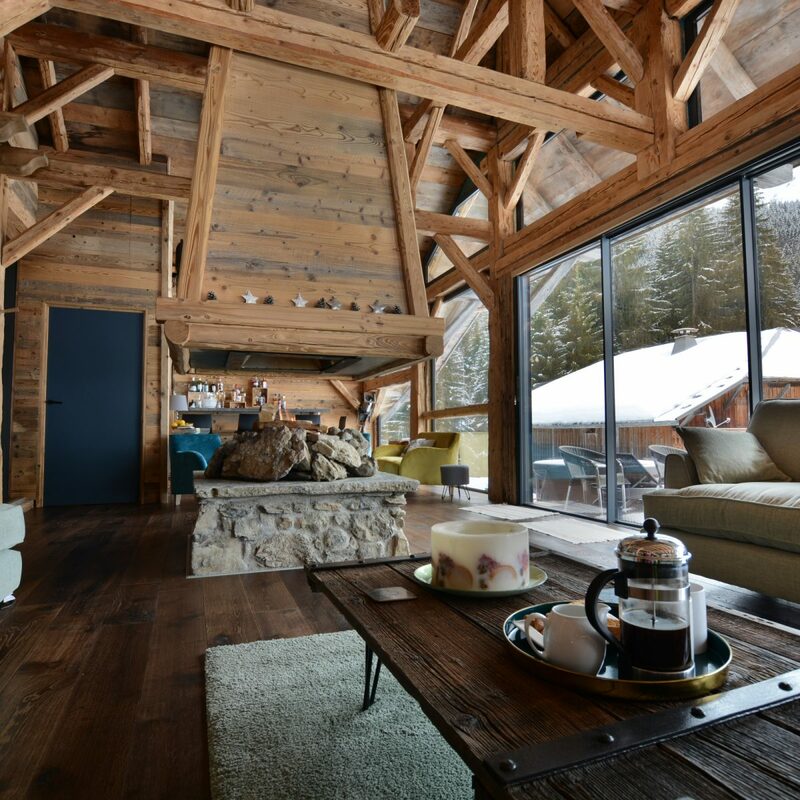 The couple eventually selected Frozen Umber, a mid tone finish which is full of natural oak character and warmth. 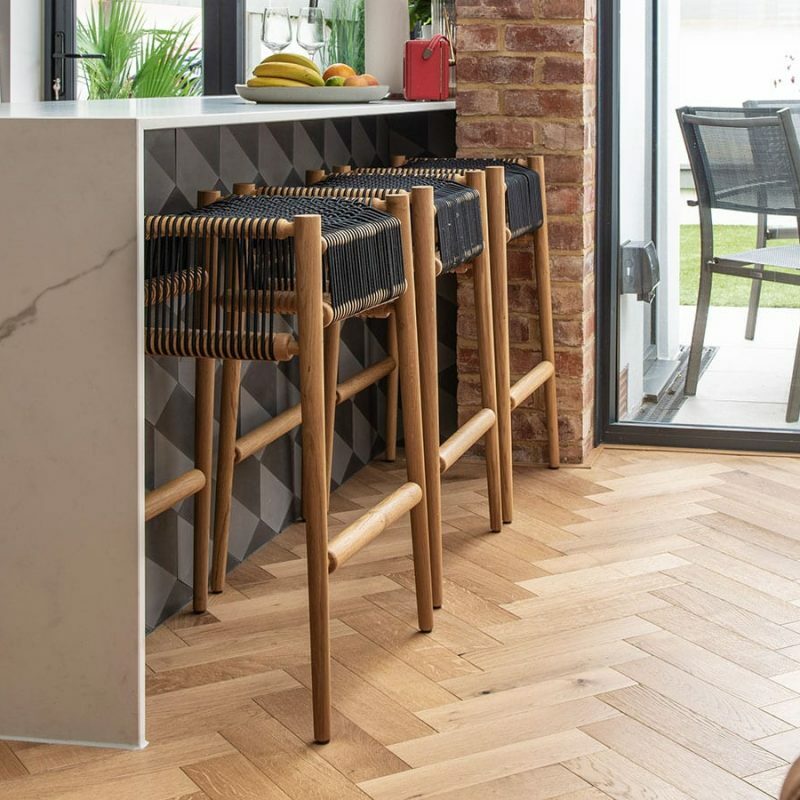 Zigzag’s modern oak blocks are made from FSC 100% certified oak surfaces, milled with ultra stable precision engineering for easy tongue and groove bonded installation. 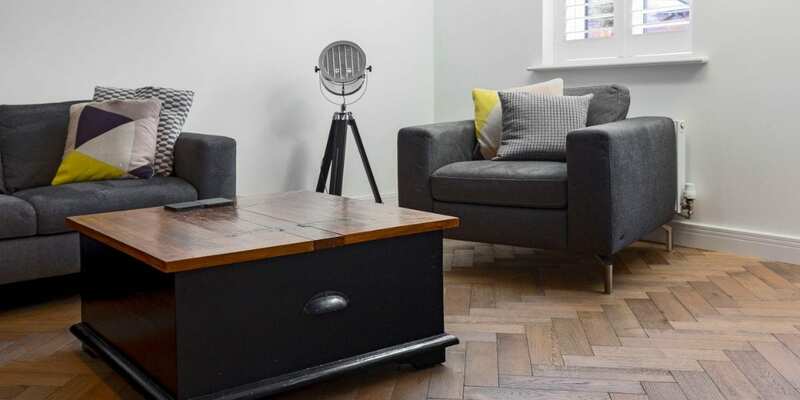 The blocks come in a more contemporary oversized scale which works in all spaces big and small. 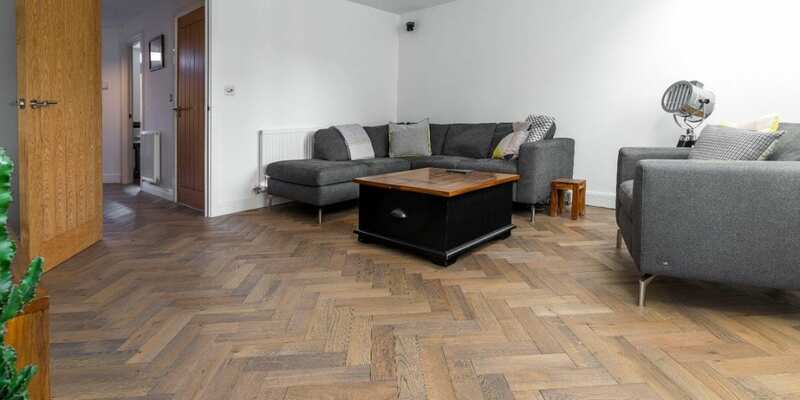 The Frozen Umber warm oak finish is created with a combination of hand finishing and colouring techniques, which produces deep lustred wood floors which combine rich oak textures with modern colour tones. 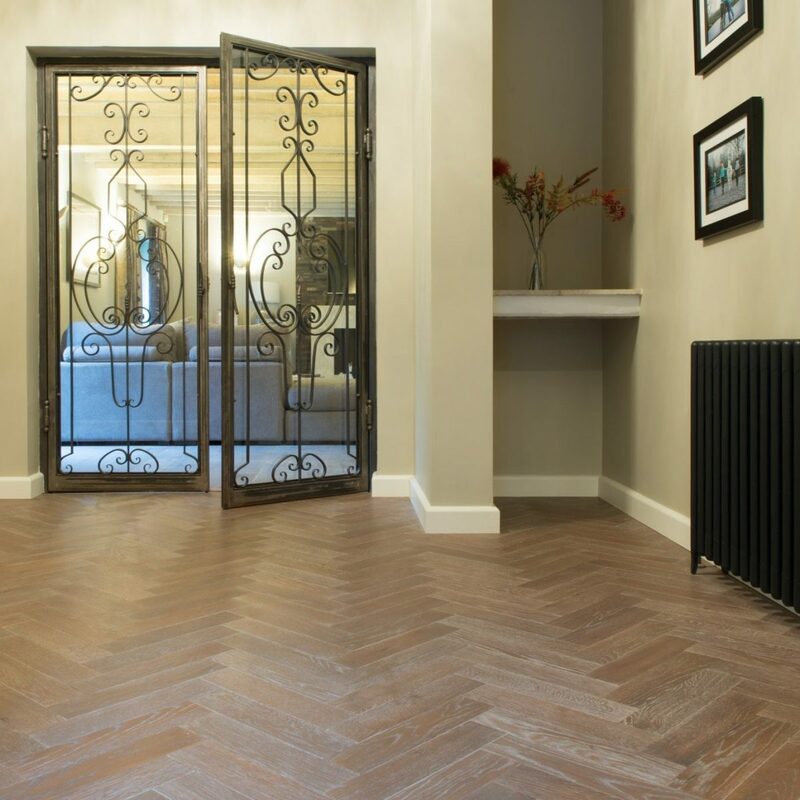 The finished Frozen Umber surface gives a slightly aged appearance with characterful oak grain running through each block. 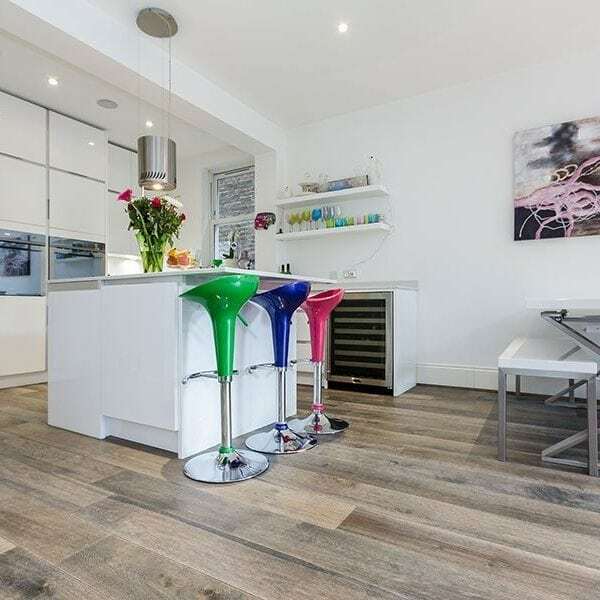 Installation of the floors was quick and easy, taking just a day of preparation with some latex screed to level out the sub floors and then two days to complete the wood floors throughout the ground floor of the home. 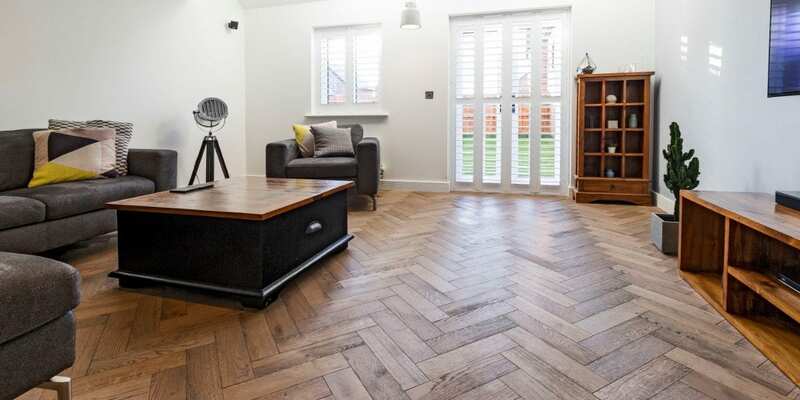 The finished herringbone floors look striking against the back drop of modern furniture mixed with some classic wood pieces. 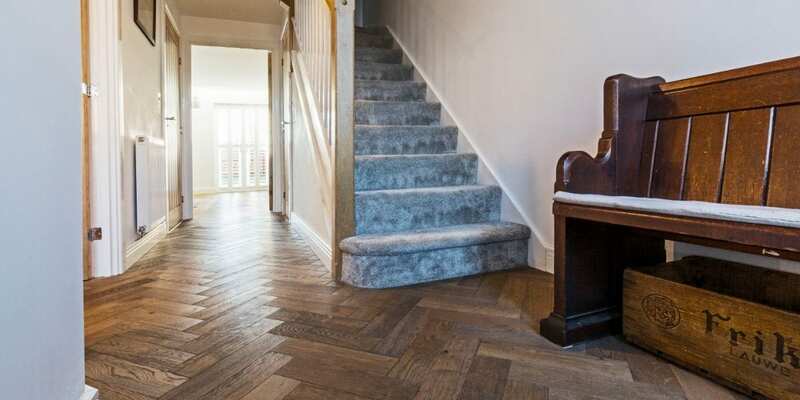 The herringbone pattern has created a seamless flow through the home and into the living space, which bathes in natural light from the rear garden, reflecting on the oak grains beautifully. 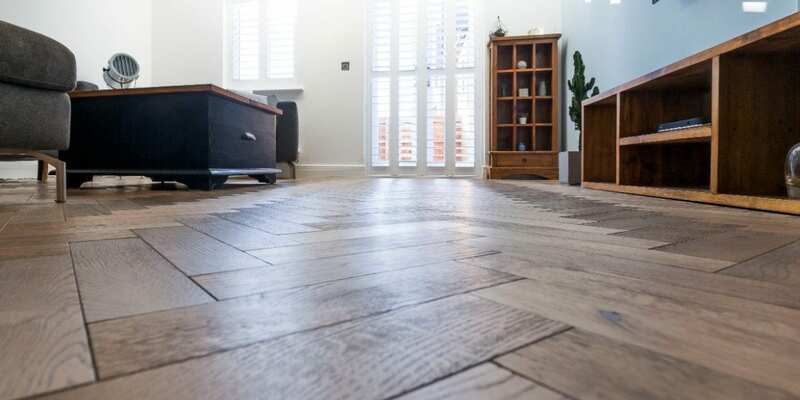 “We are so happy with the finished results. 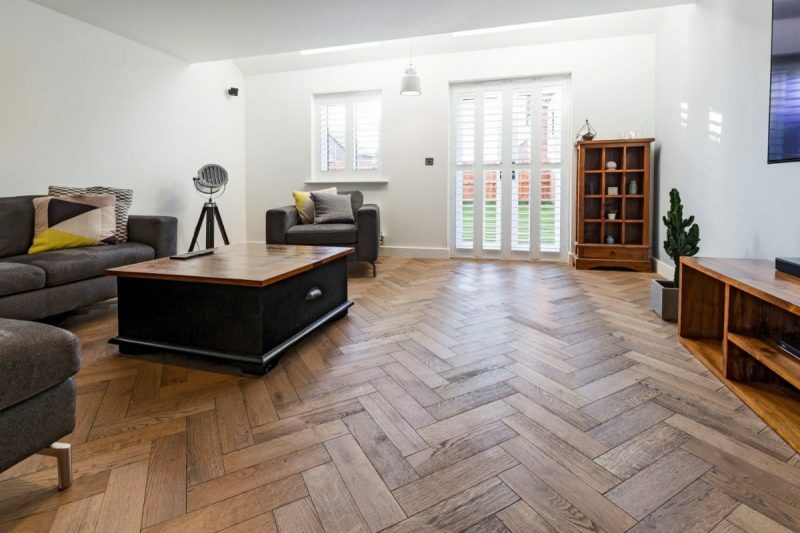 Our new build house now feels like a home. 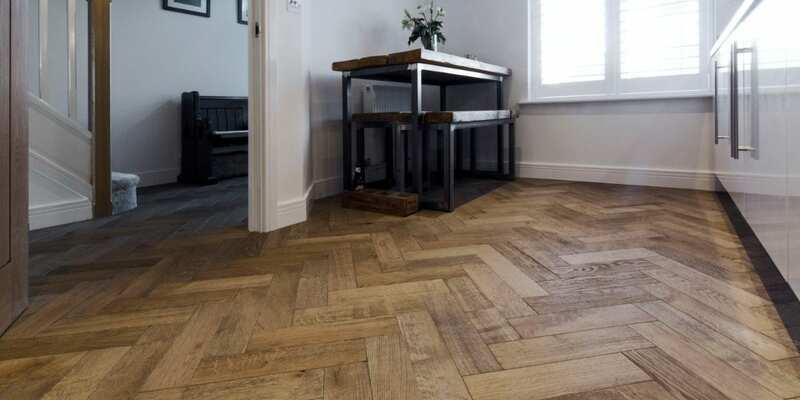 The floors add a lovely texture and have a slightly aged feel to contrast with the sleeker new finishes. It is just the effect we wanted.